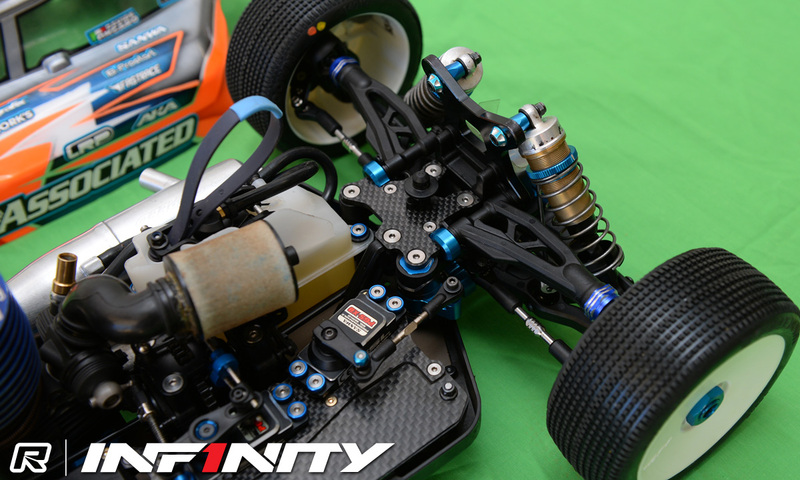 Remarks – Top Seed for qualifying here in Perth, Davide’s car is loaded with a range of optionals from various companies. 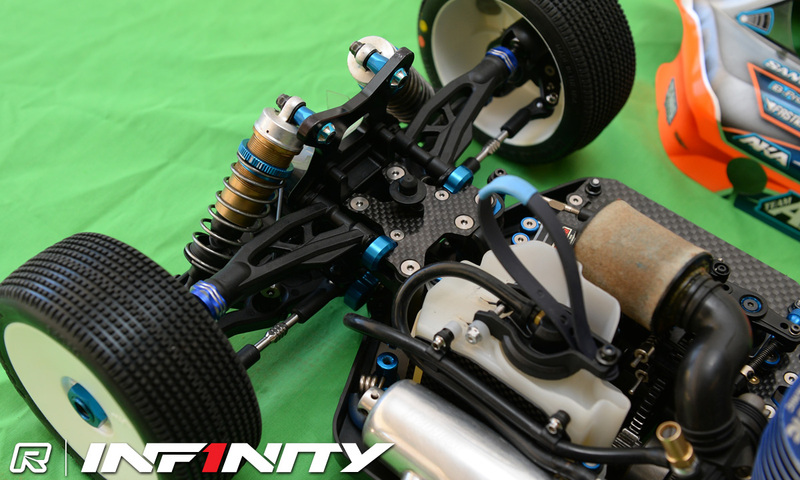 The car has 5mm rear shock standoffs from Italian brand Fastrace who have also supplied the carbon battery box he is running. 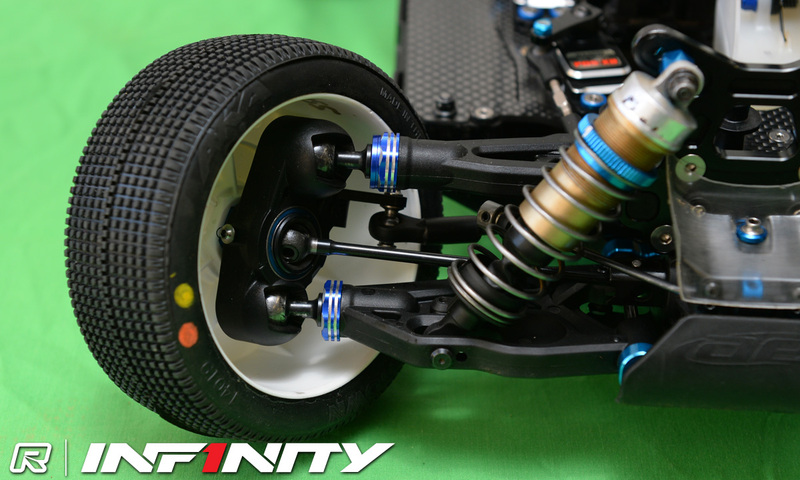 The rear chassis brace mount comes from Ruddog, Team Associated’s German distributor, while Davide has used a titanium screw set from T-Works. 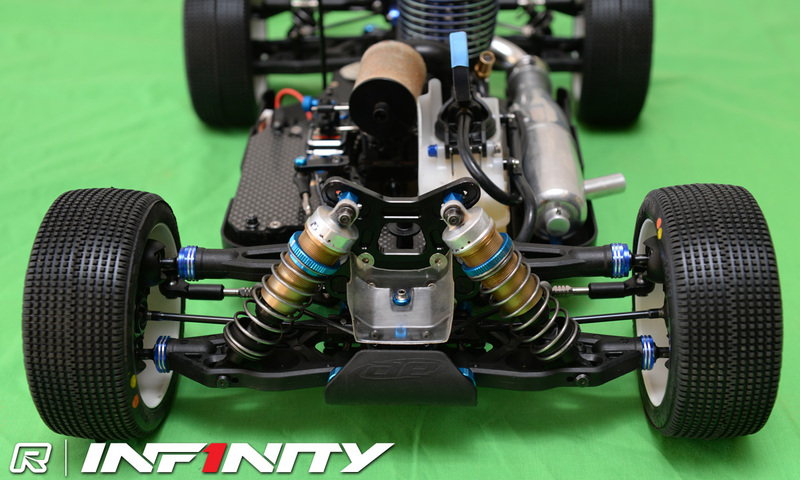 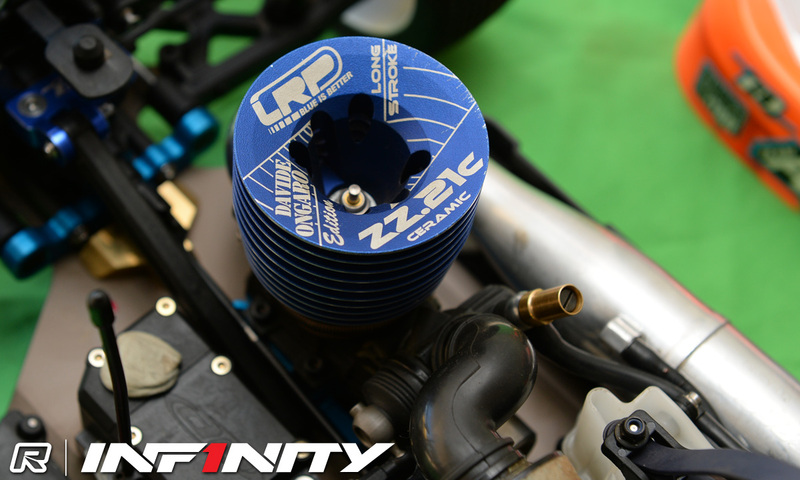 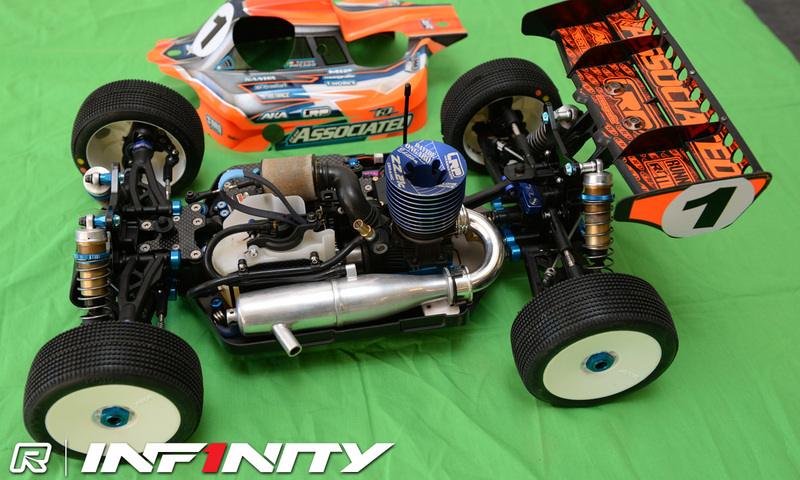 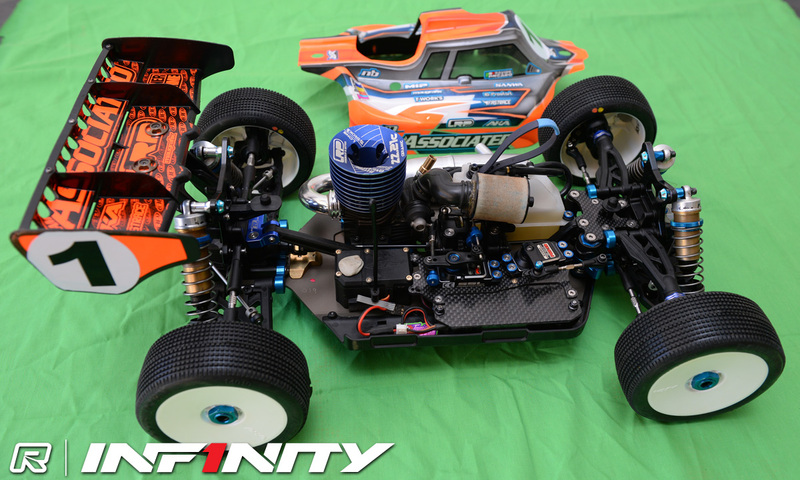 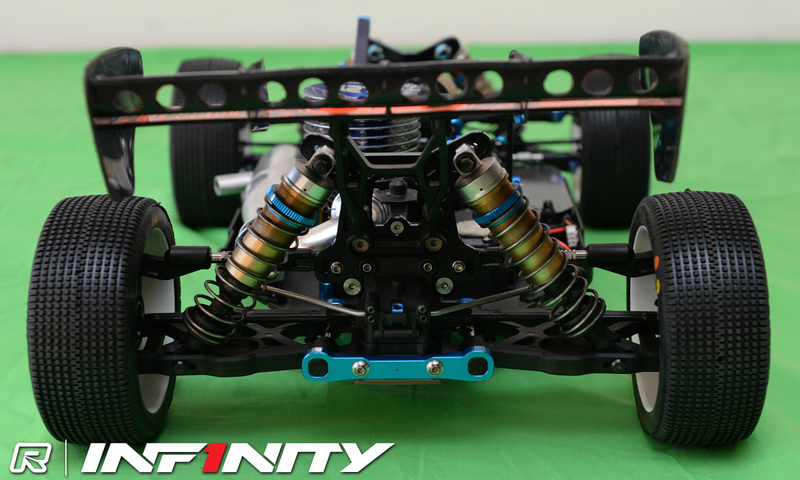 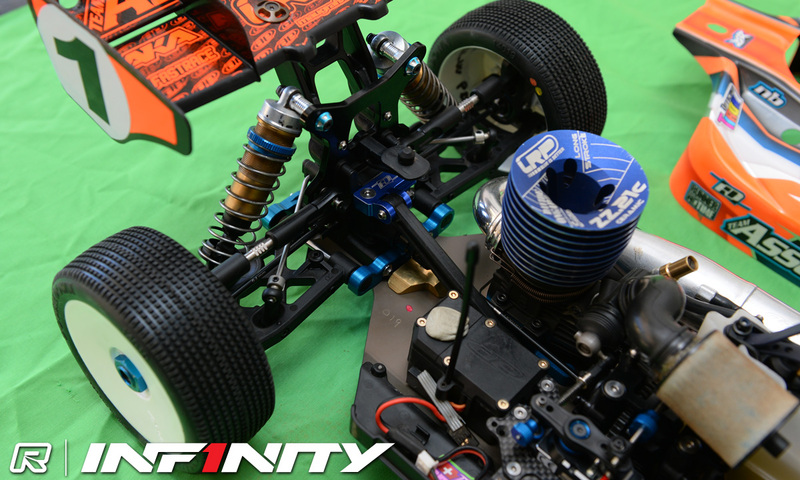 The car also features JConcepts upgraded turnbuckles and pivot ball adjustment spacers.